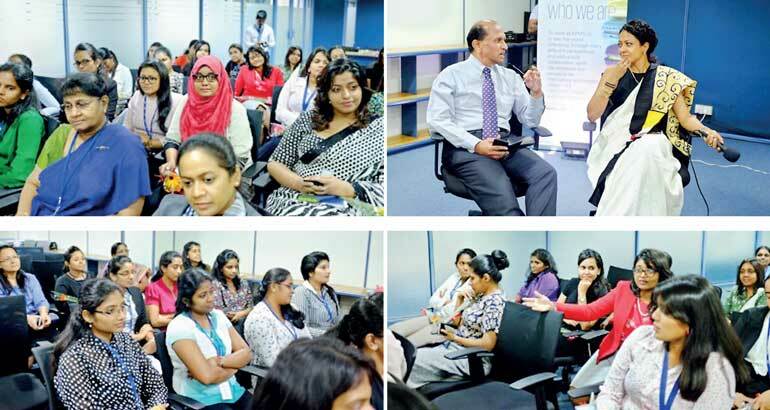 8 March was International Women’s Day (IWD) and KPMG in Sri Lanka celebrated the day by recognising this year’s theme ‘Press for Progress’, which is a call for collective action and shared responsibility, to drive change and build a more inclusive future. In 2017, the gender gap around the world widened for the first time in a decade – according to the World Economic Forum, it is now estimated it will take 217 years to close the gender gap. 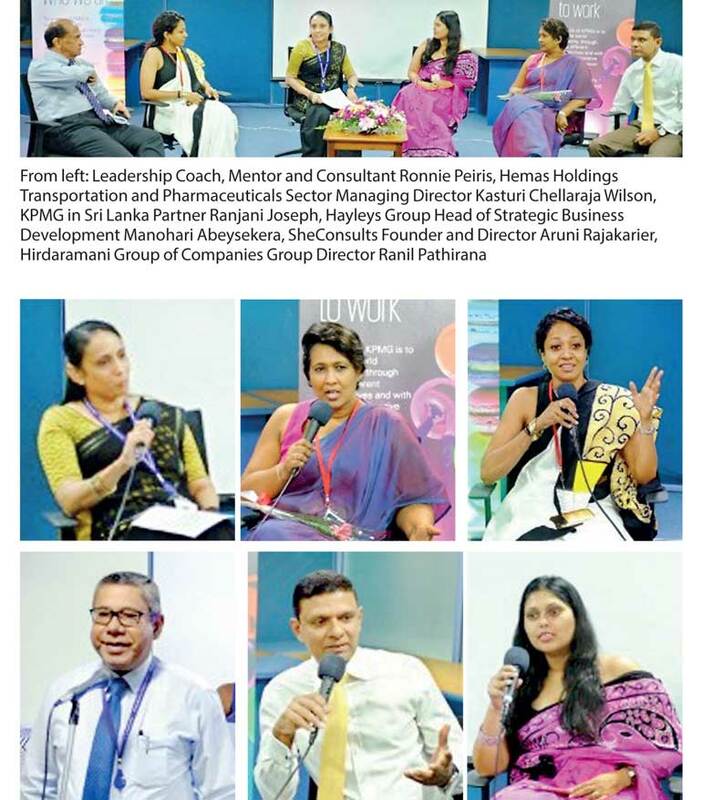 In an effort to inspire aspiring women at KPMG to take the journey of leadership, highlight the opportunities that exist, and how they can achieve the elusive work-life balance, KPMG in Sri Lanka hosted an interactive discussion. The event brought together well known personalities spanning a spectrum of sectors, to share their experience and journey of leadership, providing interesting and fresh perspectives. Moderated by KPMG in Sri Lanka Partner Ranjani Joseph, the panel featured eminent professionals and business leaders comprising Hemas Holdings Hemas Transportation and Pharmaceuticals Sector Managing Director Kasturi Chellaraja Wilson, Hayleys Group Head of Strategic Business Development Manohari Abeysekera, SheConsults Ltd. Founder and Director Aruni Rajakarier, Leadership Coach, Mentor and Consultant (Former Group Finance Director, John Keells Holding PLC) Ronnie Peiris, and Hirdaramani Group of Companies Group Director Ranil Pathirana. According to Kasturi Chellaraja, who began her career in an audit firm herself, being a single mother, gave her a sense of purpose and the aspiration to excel, in order to provide a better life for her children. “It was a turning point that helped realise my potential. Often women have the ability to excel and reach the top, but they try to be someone else rather than realising the unique value they bring to the table,” Kasturi says. Sharing her journey to the top, Aruni Rajakarier, who runs her own consultancy firm stated that being a working mother and taking care of four children was not an easy task. However, it was the need to achieve the elusive work-life balance that prompted the decision to begin her own consultancy firm. “Looking back I wouldn’t have even thought it was possible to be a mother and run a company. Many women often give up their career aspirations to look after their children and don’t believe in the possibilities of rising to the top,” Aruni says. Responding to a question on how women can be encouraged to take the journey of leadership, Ronnie Peiris stated, “It is first important to build an inclusive culture, which encourages extraordinary people with diverse backgrounds, sharing their ways of thinking and expertise. Organisations play an important part in cultivating this.” He added that a blind eye is often turned towards sexual harassment in work places by many organisations and requires a prudent reporting mechanism. According to KPMG Women’s Leadership Study, which is a comprehensive survey of more than 3,000 professional and college women, 82% of professional working women believe access to and networking with female leaders, will help them advance in their career. With more women in senior leadership positions today, nine in 10 respondents reported that they are excited about what is possible. Manohari Abeysekera, who began her career at KPMG, agreed that building an inclusive workplace is critical to our future success and women at the top should do their part too, by helping aspiring women advance in their careers. “It is never easy, it is a journey and women at the top need to encourage the next generation and empower those around, to bridge the confidence gap,” Manohari says.